This fitness-mad couple has amused more than 2 million people with their fitness Facebook videos. 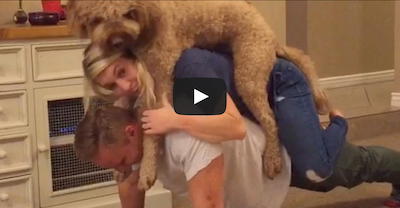 Here’s their more recent video, which shows them with their dog Wrigley. Kudos to them for keeping their marriage alive and having fun while doing it! This married couple is definitely the ultimate team.